There are a lot of numbers in marketing. Fans and followers, conversions and clickthroughs. Some of these numbers matter more than others. There’s one number that might be the most important number of all: Domain Authority. This post covers the top questions about this key metric. We’re going to start with the big picture and then get to the more practical. We’ll end with a list of answers to the top question, how can I increase my Domain Authority? If you just want advice about improving your authority fast, scroll down to the bottom. Domain Authority is a score that indicates the likelihood that pages on a website will rank in search engines. It’s measured on a scale from 1 to 100. It is created by Moz, but it’s an approximation of the Google “PageRank” score (from 1 to 10) which measured a website’s credibility. There isn’t a way to see Google’s PageRank scores anymore, so many search marketers use Domain Authority as a proxy. Domain Authority (DA) shows how credible a website is among other websites, based on several factors, especially links. If website A links to website B, it’s like a vote of confidence. The link increases the Domain Authority of website B and increases the likelihood that pages on that domain will rank. The number of linking websites has an impact on Domain Authority. But quality is even more important. Links from websites that have a high Domain Authority themselves pass much more authority to sites they link to. Authority can be plotted on an exponential curve. Sites with higher authority have exponentially more incoming links, and they pass exponentially more authority when they link to other websites. Of course, Domain Authority is not the only search ranking factor. Sites with lower authority often outrank sites with higher authority. This is because the ranking page may be more detailed, more focused on the search phrase. Web pages need relevance, in addition to authority, to rank well in search engines. More on that below. 3. Does the formula for calculating Domain Authority change? If so, how often? To answer this question, we’ll need to go to the source. Here’s input from Matt Peters, who works on Mozscape, the index that Domain Authority is based on. 4. Domain Authority vs Page Authority. What’s the difference? Google doesn’t rank websites. It never did and it never will. Google ranks web pages. 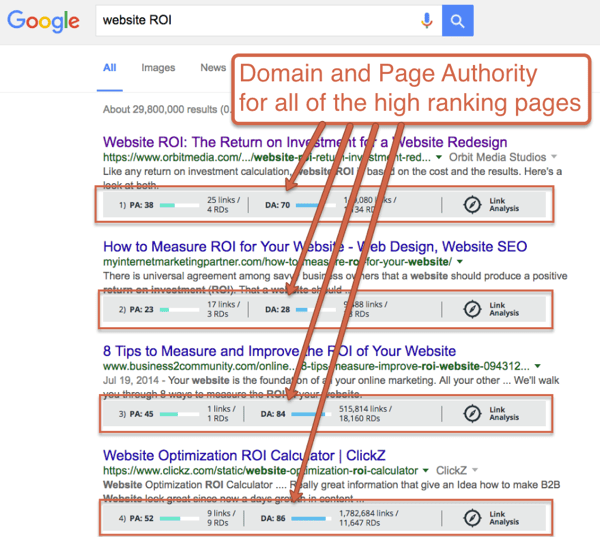 Although Domain Authority shows the likelihood that pages on that domain will rank. The real test is the authority of the specific pages. The real test is Page Authority. Pages get their authority in two ways. When a page on another website links to them, they get authority directly. But they also borrow authority from their domain. 5. Where can I check Domain Authority? You can check the Domain Authority of any website using Link Explorer. It’s a free tool, built into Moz. Just enter a domain and you can see the Domain Authority and part of the “backlink profile” for any domain. With the paid version, you can see all the data. The number of websites (Root Domains) that link to you and the total number of links to you from those websites. That’s quantity. The authority of each domain and page that links to you. That’s quality. It’s a lot of good info. But it’s all specific to that one domain name. To understand the competition for any phrase, you’d have to search for the phrase, then enter the domain of each of the high ranking pages into Link Explorer, which would take a while (it would also require the paid version of Moz). So here’s a way to see the authority of all of the high ranking pages for a given phrase all at once, right there within the search results: use the Mozbar Chrome Extension. Just install Mozbar, turn it on and search for a phrase. You see the search engine results page (SERP) as usual, but this time you see the authority data right there under each search results. Links are a major factor is Google search results. So, generally speaking, pages and websites with higher authority will rank higher in search results. But this isn’t always the case, as you can see in the screenshot above. 6. What kind of servers and developers does it take to do this stuff? 7. Why do pages with lower authority outrank pages with higher authority? Don’t be surprised if less authoritative rank higher than more authoritative pages. Authority is important, but it isn’t the only search ranking factor. Google isn’t that simple. There are dozens of ranking factors, each factor may have dozens of variations. The page is more relevant for the target phrase. It may use the phrase more often in more important places. The page is a more detailed, thorough page on the topic. It may be longer or answer more questions. It’s actually very common for pages with low authority to rank well. There’s more to life than links! 8. What’s a good Domain Authority? It’s a common question. What is a high Domain Authority? Of course, the answer is “it depends.” Specifically, it depends on the competition for the phrase. Think of it like a sports score. What’s a good score in sports? Is 40 a good score? That depends on the sport. It’s the same in search engines. No one ranks in a vacuum. Every phrase is a competition, and every page is a competitor. If you have a page with an authority of 40, that may be more than enough to rank well for a less-competitive, less popular phrase. But it’s nowhere near enough to rank for a big money, blockbuster phrase. A good Domain Authority is any number higher than the authority of the other high ranking sites for your most important target phrases. It’s the same with authority and search rankings. 9. Why is my Domain Authority dropping? It’s very difficult for Moz to get an accurate snapshot of all the links on the internet. It’s a huge technical challenge. Sometimes they update Domain Authority data every few weeks. Sometimes it takes several months. How often is Domain Authority updated? The timeframe isn’t consistent. The metric itself isn’t consistent either. Sometimes everyone goes up. Sometimes everyone goes down. But it shouldn’t be frustrating. Focus on DA as a relative metric. What matters is your authority relative to the authority of the other sites that you compete with in Google. The Domain Authority of all websites rise and fall together, like boats on the tide. 10. 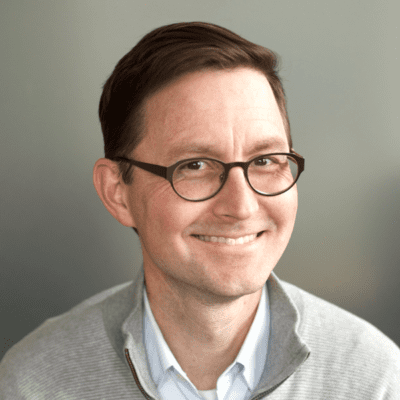 Is Domain Authority a difficult thing to track and measure? Let’s ask Matt to see if he has insights into reasons for potential inconsistencies. 11. How can I increase my Domain Authority? If your DA is low, it’s much easier to raise it fast. As we saw in the curve above, a DA of 30 isn’t that much higher than a DA of 20. But it may take years of intense marketing to climb up from 70 to 80. What Is the Best Content for Links and Shares? They may pass authority from one page to another, but they don’t increase the authority of your overall domain. Follow these internal linking tips to pass Page Authority. Sure, a link from Facebook is a link from a site with a DA of 100, but the link is on a profile, which is one of billions of pages on Facebook. That profile has a very low Page Authority, so passes almost to value along to your domain. Google knows that press releases are a special type of content. They appear everywhere as duplicates very suddenly. Few SEOs believe that press release links offer any SEO value. Links from comment system almost always include a special tag called NOFOLLOW. This tag specifically tells the search engine robot to not follow the link to it’s destination, and therefore, pass no authority. So what does increase your Domain Authority? Good marketing. And here are some more powerful tactics, that might not lead directly to quality links and higher authority, but they often pave the way for huge long term benefits. Here are 30 activities that often attract links organically. Blogging, Twitter chats, hosting webinars, hosting live events, public speaking, sponsoring events, podcasting, publishing original research, eBooks, whitepapers, embeddable infographics, being a guest on the radio, appearing on television, networking with influencers, writing books, advertising on websites, social media ambassador programs, email marketing, running contests, running online promotions, guerilla marketing, native advertising, affiliate marketing, winning awards, joining networking groups, joining mastermind groups with other marketers, and email outreach. My best advice? Publish high-quality, original content and make it visible to people who create content. Or just do something really interesting and newsworthy. Link building (and link attraction) campaigns that increase Domain Authority are often very clever combinations of several types of marketing. If you have an example of a tactic that has worked well for you, please let us know with a comment below! Special thanks to Lisa Loeffler and Amanda Gant for their help on this article. I am never in favour of domain authority. In this era where traffic is high for a site even the DA is very low is common thing. Google address more on user intent than ever. People are gaming DA system very well to achieve good domain authority is very often I see. Moz Does not have a good system to analyze link quality. Google used to award 3 PR with bunch of good links. But Moz fails it. People create sites solely for the purpose of link building and build links where links are built on 100 spam comment pages. Thanks for the comment, Manoj. But I’m sure what you’re suggesting. 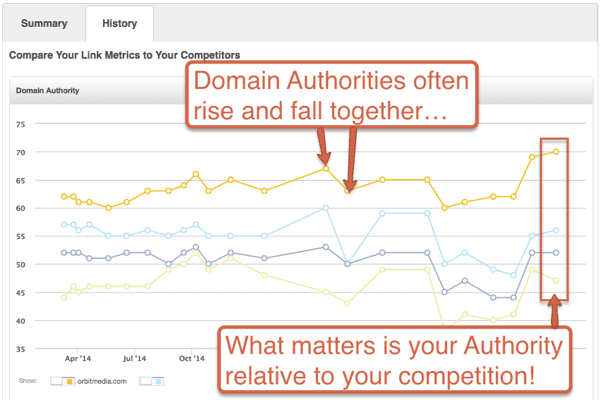 Domain authority correlates with rankings and rankings correlates with traffic. Do you disagree? Of course, there are many sites that get lots of traffic without rankings, but DA is certainly part of SEO. Or are you suggesting that authority is easy to fake? And that Google is easy to trick? 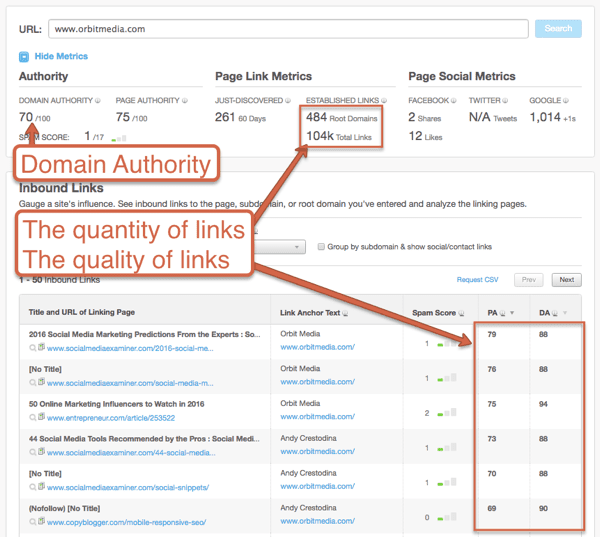 This post was intended to explain Moz’s Domain Authority metric, how it’s relevant and what affects it. I hope it was useful in that regard. I am just saying DA is eazy to fake. What I feel about authority of a website or a page is it should be more related to what value it can produce. What quality links its getting. For how long it sustained its position. How does it get mentions. What is its reputation on social media etc. No doubt we need a system on which we can rely to find the authority which Moz is doing great. And at many cases I also use it. Thank you for the insight Andy! I am always interested in learning how system and technology work. I can’t resist taking a shot at that last question. (And BTW, I love the final pull quote.) The tactic: forge partnerships. Full dislosure: Andy and I partner on a lot of content. But it works. Find yourself an Andy. Two DAs are better than one (said the math dunce). Thanks for the in-depth look at the Moz score, Andy. That’s definitely a big metric for us. Interesting to note how often they update it. Your article is worth reading and also useful for following these tips and guidance and also looks informative screenshots. I want to improve DA to my website by following instructions given by you from this article. I want to know how frequently DA will be updating ? where I can find these updates after it gets effect on my site ? how do I know once DA increase or decrease ? The moz updates very slowly and some websites with unusual domains can not be valued by moz. Andy, I have a website, when entered without www, the Domain Authority is 36, but the page authority is 1; when enter www. before the domain the Domain authority is 38, the page authority is 40? Why? You should be redirecting www. to non-www or the other way around. This is one of the most complete posts on Domain Authority, loved reading it. DA is one of the strongest metrics and signals today in SEO industry. I have one question. As we know that a nofollow link does not transfer the PR from the linking page to the linked page. Now, what about the DA? Do nofollw links have any effects on DA? Thank you very much for sharing a depth post to increase domain authority. What you think how long a website take to get 10 Domain authority? How many backlinks we have to provide in 1 month, 2 month to increase DA? Is it necessary to provide backlinks on Root domain or it will fine if we provide backlinks to post pages? HI Andy – I’ve been tracking my site’s DA in Open Site Explorer for quite a while now, and have just discovered that my home page (which has earned the most inbound links to date) has a Page Authority of 45 with a “www.” in front of the url, and only 36 without the “www.” Both point to the exact same page, but I assume this means that most people who’ve linked to me have included “www.” in their link. Does Google view these as two different pages? The potential problem is that my site is actually set to a non “www.” url (daveruch.com rather than http://www.daveruch.com...). Should I be contacting all those sites that are linking to the www. version and ask them to drop the www? Thanks as always for your generosity and advice. Great write up andy, much appreciated! 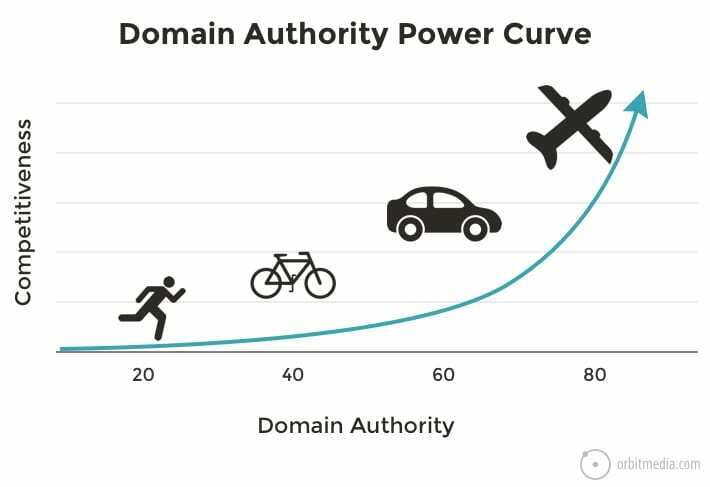 I believe domain authority is still a great tool we have when doing our initial competition research and trying to form an overall picture of what we’re up against. Not the be all, end all but it definitely helps paint the picture! This information is gold. Many thanks. You talked about getting quality backlinks from a website with high DA. But my question is: What is the nature of the link? Is it dofollow or nofollow? Or both boost DA? And how fast would this affect our DA after gotten a dofollow link from a website with high DA? Your blog is very informative and great. Its very great read for me because your Domain Authority article is so good and you will write this post in very good manner. Thanks!